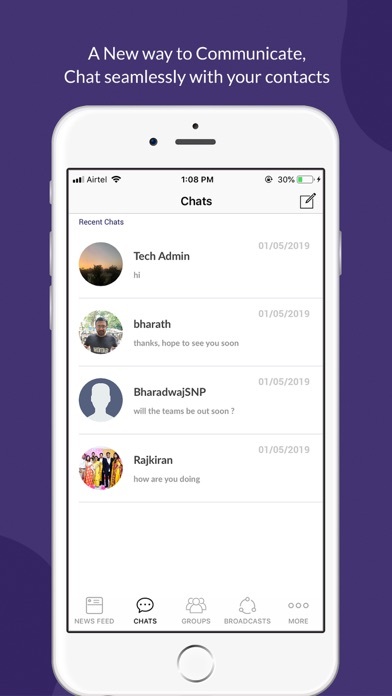 Introducing BCHAT, A Mobile Communication App That Does It All ! Tired of using multiple apps to communicate and stay in touch with the latest happenings ? Worry Not, B-Chat is the app for you. 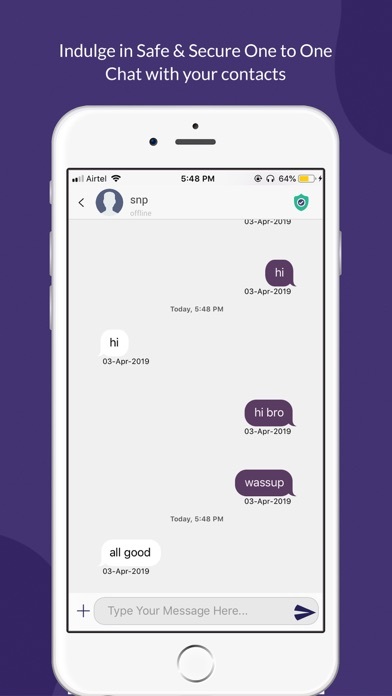 Much more than your Average Chat App. BCHAT comes loaded with powerful features, to make your everyday communication easy. 2. SHARE ANYTHING: Share rich multimedia like photos, videos, documents and much more. Stay in constant touch with your friends, colleagues or your loved ones. 3. EASE OF USE: With a clean uncluttered interface, B-Chat is Intuitive and highly addictive ! 4. 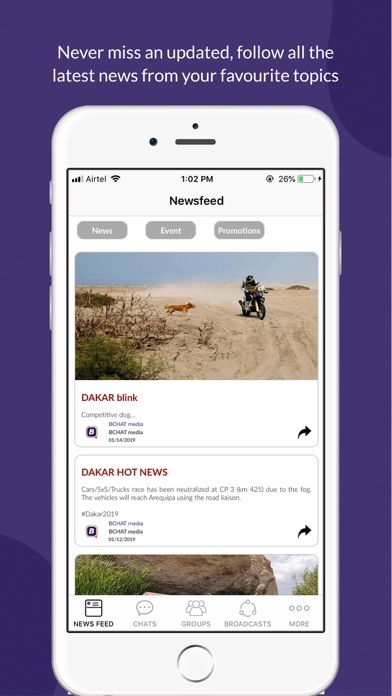 FEEDS: Get all the updates from your Favourite Celebrity or your most loved event, right at your fingertips. 5. GET NOTIFIED: Realtime Notifications to never miss your update from your loved ones. 6. GROUPS: Engage in conversations with those who matter to you. Create & Join Groups. 7. BROADCASTS: Create and subscribe Favourite Celebrity or your most loved event and get all the updates.